Skin cancer causes cancer cells to form in the tissues of the skin. There are different types of cancer that start in the skin. Skin color and exposure to sunlight increases risk of skin cancer. Most types of skin cancer can be cured. Skin is the largest organ in the body that protects it from harmful sources including heat, sunlight, injury and infection. It also controls the body’s temperature and stores water, fat, and vitamin D. Skin has several layers of which the epidermis and the dermis are the most important. The epidermis is made up of three kinds of cells; the squamous cells, the basal cells and melanocytes. Skin cancer affects these cells and may cause early visible symptoms, which can help the doctor to make an early diagnosis. Skin cancer, like most cancers, can be cured. One of the most effective treatments for skin cancer is Mohs surgery, which offers twofold benefits. First, it removes only the cells that need to be removed without removing any tissue and second, it offers a high success rate. 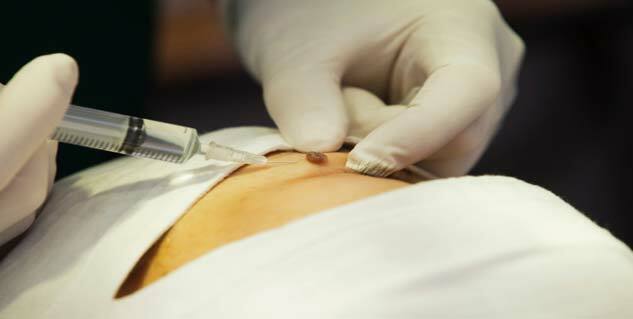 Unlike normal cancer treatment, skin cancer treatment is simple and less complex. Here is why surgery for skin cancer is not as scary as you may anticipate it to be. Mohs surgery, named after Frederic Mohs, is a simple procedure which can be done under local anesthesia. The surgeon starts by cutting out a small piece of the tumour and freezes and stains the tissues to look at under a microscope. If a root is visible, the surgeon will cut another layer of the tumor, repeating the same process until the entire cancer is gone. 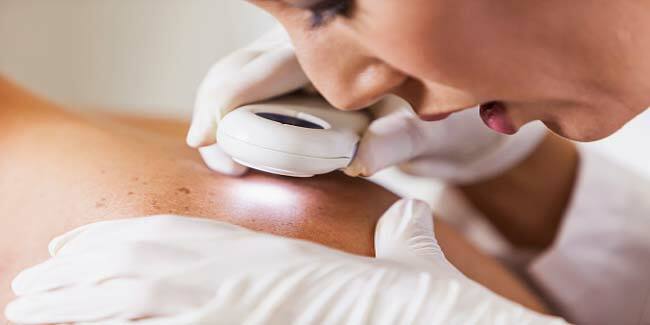 Although Mohs surgery is generally used on basal and squamous cell cancers, in some cases, it can be used to treat melanoma, making it quite useful for all types of skin cancers. It is very effective around the eyes, nose, mouth, and ears and it can be very useful around the cheeks for large tumors. If the cancer is confined to outer layer of the skin, the surgery is likely to be very effective. The surgery usually takes one to three hours to complete. Initially, the affected area of the skin’s outer layer is removed. It takes around 20-30 minutes and then the surgeon inspects and removes the affected cells. You may also need to get another layer removed if required. Yes, the surgery hurts but only as much as a biopsy. The affected area is numbed with a local anaesthesia. After the initial stick of the needle, there is minimal discomfort. The surgery will leave a scar where it is performed, but the scar will become less noticeable over time. It may take six months for the redness to fade and for the scar to settle down, but after that the scars will hardly be noticeable.